Howdy! 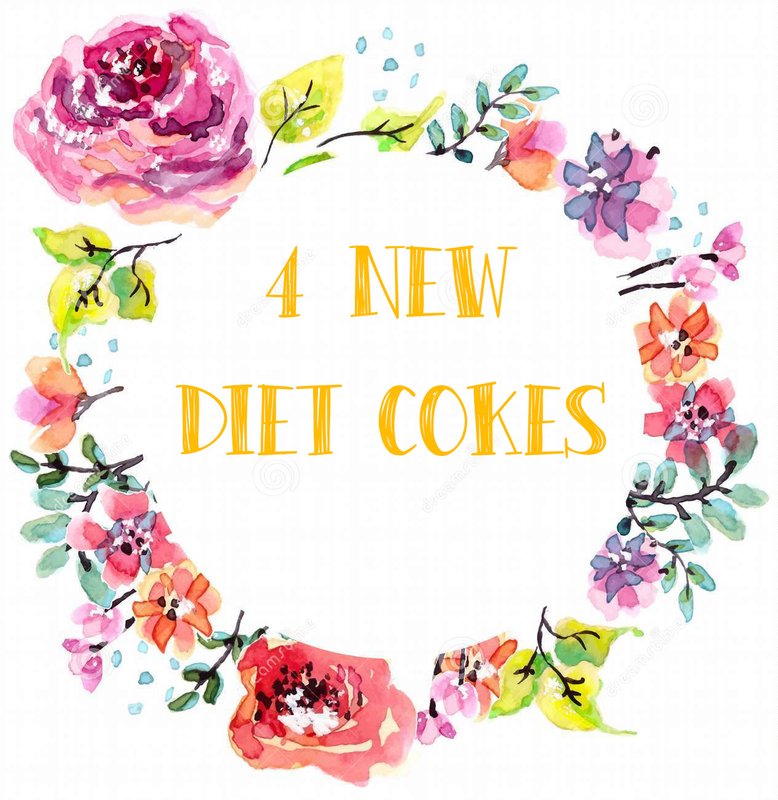 Am I a typical girl and millennial who exclusively drinks diet drinks vs. regular? Why yes, yes I am. So when I watched a Buzzfeed video on diet cokes with flavors, I was like "I HAVE to try these"! It took about a week to collect all four diet coke flavors but I eventually did. Side Note: they are now so easy to find! Literally, the CVS that I live above has a massive display of them. 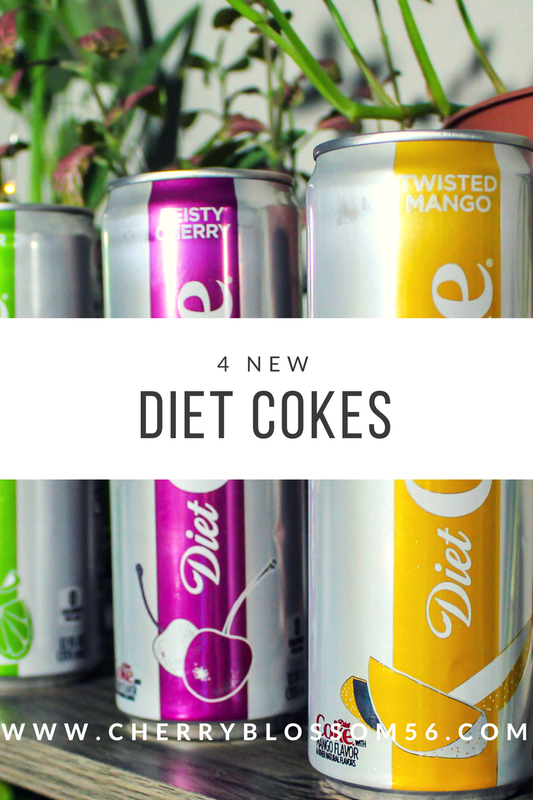 The four new diet coke flavors consist of Feisty Cherry, Twisted Mango, Ginger Lime, and Zesty Blood Orange. They come only in cans currently. A bit of a bummer, since from drinking these I learned I'm sensitive to the coating of aluminum cans (I actually never drink out of cans so this was something new for me.) Hopefully, if they really take off, they'll come out in bottles! These cans are much taller and slimmer than traditional coke cans. I loved the taste of all of these. 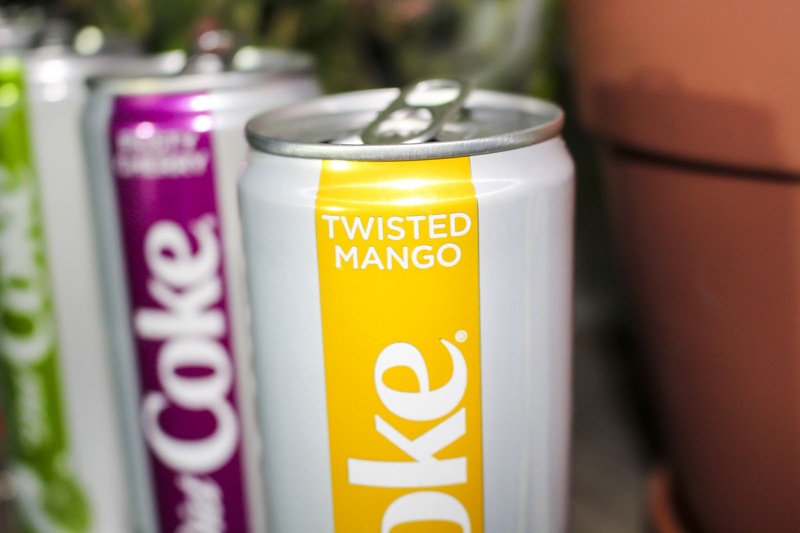 Twisted Mango was my favorite with Zesty Blood Orange not far behind. They tasted like Diet Coke with a skittles after taste. Which I thought was great! 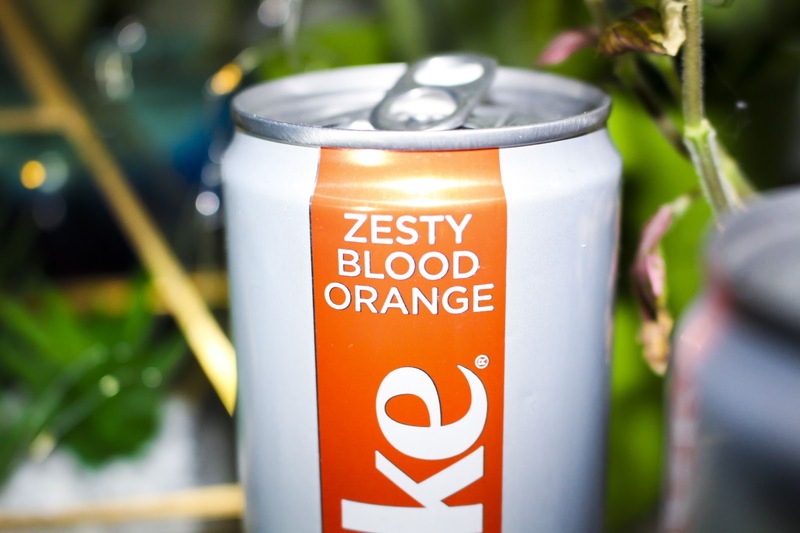 All of the flavors were subtle enough that it still tasted like you were drinking Diet Coke but vibrant enough that it gave a unique twist to each drink. I would say that they all really did seem to taste exactly like what they were advertised to taste like. 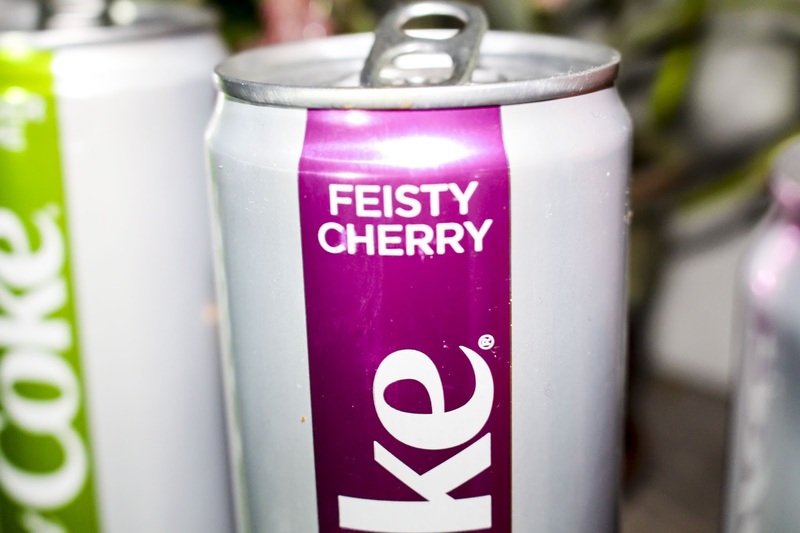 The Feisty Cherry, however, tasted eerily similar to regular Diet Cherry Coke, so I am not sure why the chose to include this one as a new flavor. 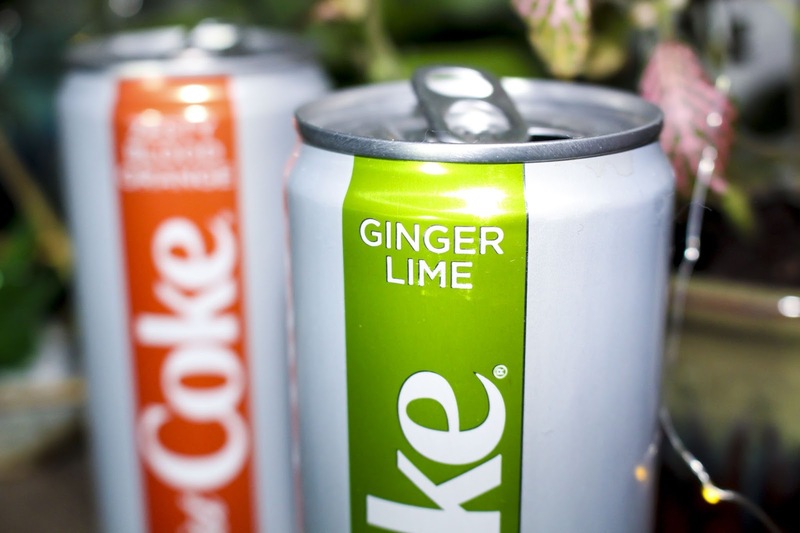 Ginger Lime, was a nice 3 way split between Diet Coke, Ginger Ale, and Sprite. I know that sounds like an odd combo, but it was super tasty! 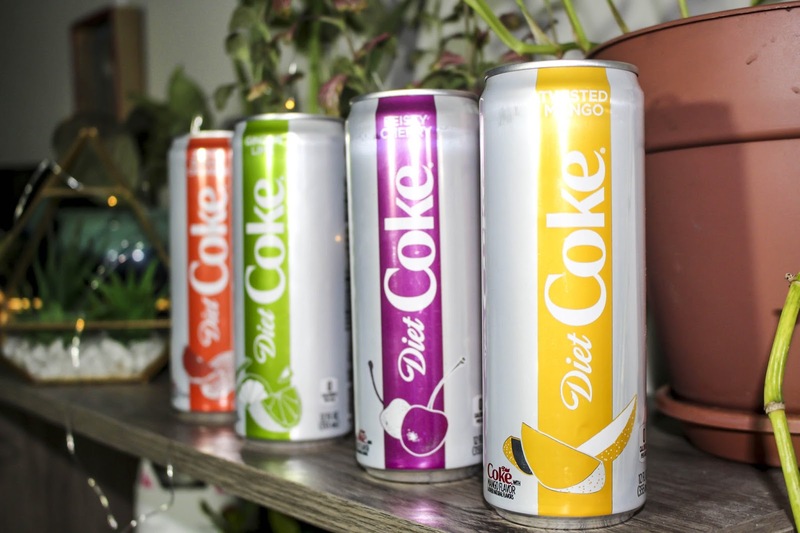 Overall, if you like Diet Coke and are interested in trying these, I'd say go buy you can. Who knows maybe they'll come out with even more flavors! Have y'all tried them? If so let me know which ones you liked!